Here is the card I designed for last week's Open House. I wanted to keep it simple due to time constraints so I made all the flowers, cut the butterflies and vases out ahead of time. 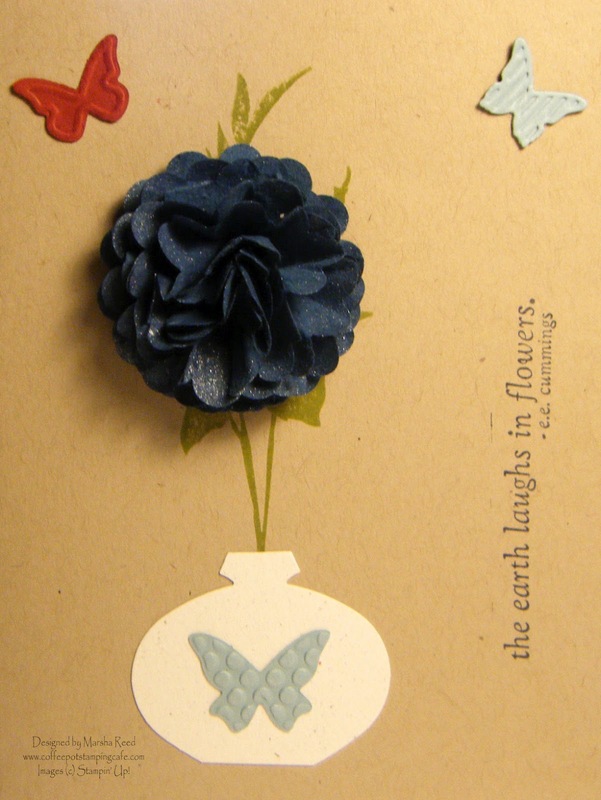 I plan to make up an all occasions card set using the remainder of the cutouts but will make the flower just a bit smaller. The bottom of the Ornament Punch was trimmed off to make the cute little vase. I like that our Stampin' Up!® punches can be used in so many ways.